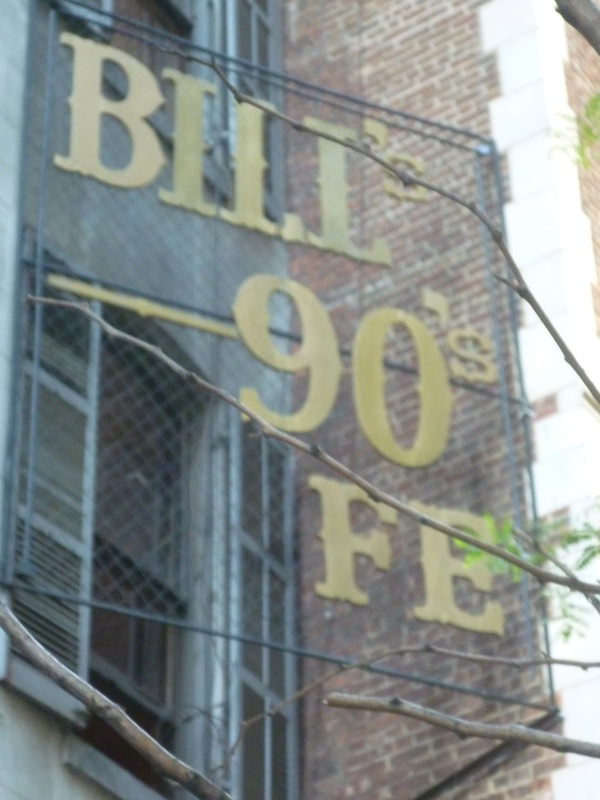 I walked by Bill's Gay 90s saloon on E. 54 Street yesterday, for the first time since the Prohibition-era tavern closed last March, and found it gutted. One of the windows looking into the second-floor dining room was papered over, but the other one was wide open. (There was work going on inside, but I didn't see any workers. I could only hear them.) 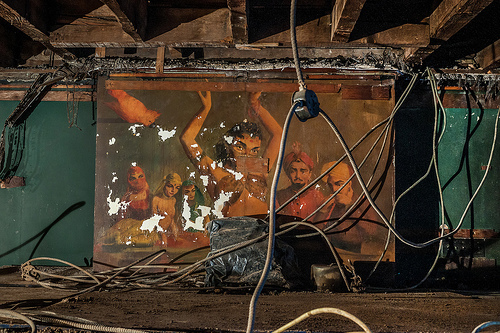 One could easily see that the walls, which were once covered with framed theatrical posters from the 1890s and 1900s, and other artifacts of Olde New York, has been stripped bare. 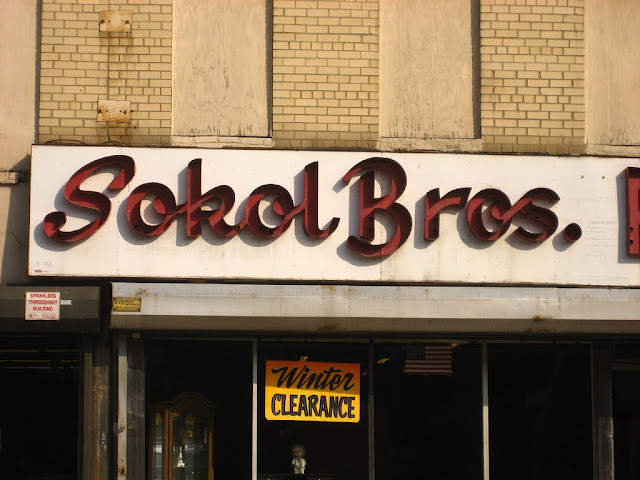 A local tipster informed me the other day that the great old sign to the Sokol Bros. Furniture Store—the Columbia Street institution that was torn down recently—will be saved. When I saw said sign on a scrap heap of rubble recently, I feared it would be junked. I asked a workman about its fate, but he had no idea. My informant tells me that, once the apartment building that is replaced the store is built, the sign will be hung in the interior courtyard. Apparently, the preservation of the sign was part of the deal the owner of Sokol made with the developer. Jade is a tiki bar and restaurant sitting in the middle of a Staten Island strip mall. It opened in 1972, a year in which tiki bars were on their way out, culturally speaking. 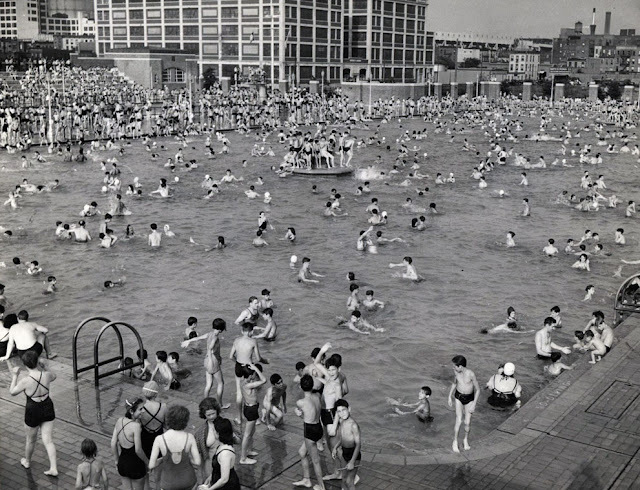 But it became a favorite with locals, and has survived for four decades, recently fighting off a near-death experience with its landlord before signing a new lease for 10 years. Broadway's Little Theatre—known for the past 30 years as the Helen Hayes Theatre, and Broadway's smallest house—recently commemorated its 100 years (on and off) as a working theatre. I went to the ceremony, and to the luncheon afterwards at Sardi's. 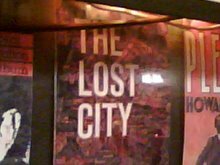 On the walls at Sardi's were various old photos taken at the time of the Little Theatre's birth. Above is the engagingly simple box office area. The below photo gives a taste of the elegant downstairs sitting room. We think that you are correct that things are (anywhere) not nearly as good as they used to be. The bakers have requested we "turn back the clock" on quality and we agree. For example we will return to making Custards and puddings from scratch. There is a fine line here of course. The further back you go in terms of quality, ingredients, etc. the more expensive the baked good become. In season, we will be making fruit toppings from scratch with local fruits. Once we open, we are eager to get everyone's feedback. So scenes like this could be happening right now. When it's hot. When it's summer. Not when the City is good and ready. A two-month season for such a wonderful public resource? C'mon. O'Connor's, Classic Brooklyn Dive, Closes—for Renovations? 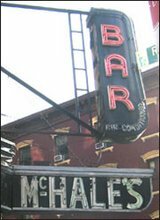 I knew that times were a-changing over at O'Connor's, the 81-year-old Fifth Avenue dive bar. The Park Slope fixture had been bought by a new owner, who was slowly "improving" the old tavern, adding televisions, a big back room, a food program and a rooftop addition meant to house a beer garden. It was all very un-O'Connor's. The appeal of the bar had always been its old-world decrepitude and timeless feel. There was a wonderful silence to the place and, if you didn't like quiet, a great juke box. Well, now, it's just plain closed, according to Here's Park Slope. Apparently, work has reached such a point that the joint has to close down in order to complete it. The staff has been let go and the phone lines shut down. 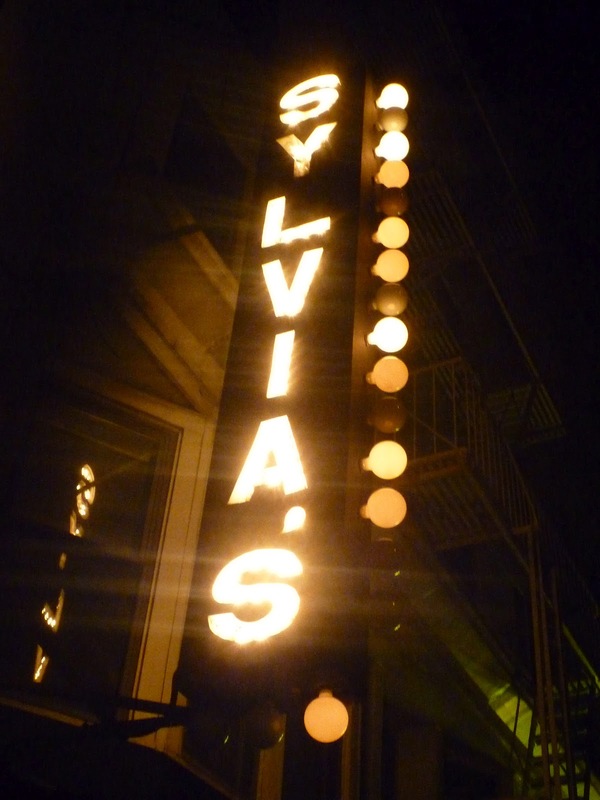 If it does reopen, expect a cleaner, more respectable bar. In short, a different bar. 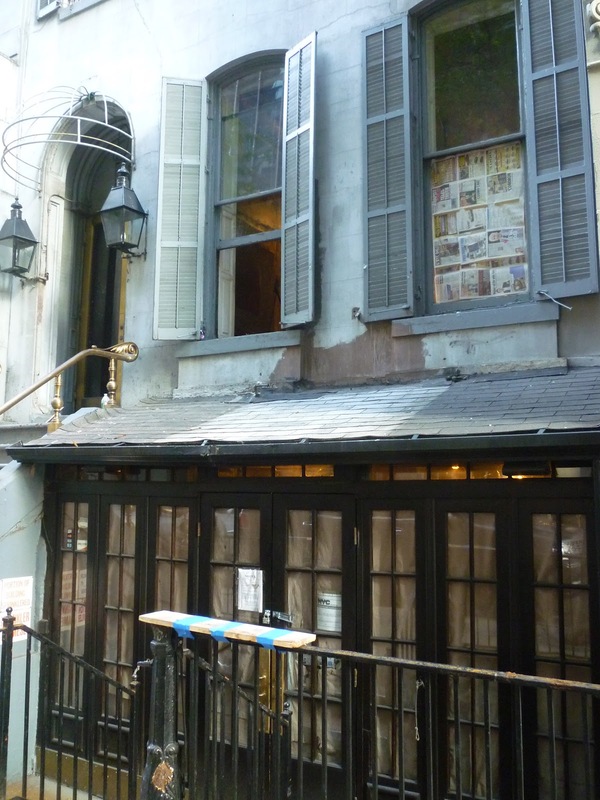 Hopefully, the owner won't touch the old bar and booths. Cars driving too fast between Atlantic Avenue and Hamilton Avenue on the BQE Service Road known as Hicks Street will now be treated to an oddly placed, and very large, mural on the history of Italian immigration in the South Brooklyn area. As far as I can tell, the painting went up today. The paints and brushes were still on the sidewalk when I walked by this afternoon. 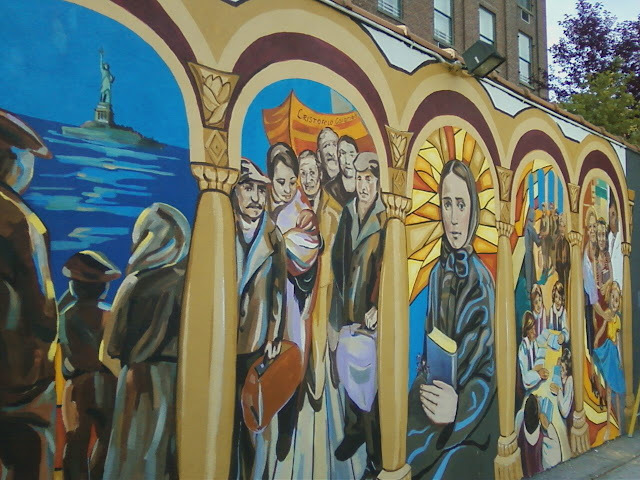 There are five panels separated by painted pillars: immigrants gazing from a boat at the Statue Liberty; immigrants disembarking from a ship named after Christopher Columbus; American saint Mother Cabrini, who taught at the local Sacred Hearts of Jesus and Mary Roman Catholic Church (the nearby Mother Cabrini Park is named for her); an image of Catholic education; and a unspecific domestic scene. Nice. Particularly since it will remind people of the area's rich, and fast disappearing, Italian-America history. But the only people who are going to see it are the oddballs (like me) who sometime walk down dirty, dusty Hicks instead of the commercial strip Columbia Street or the picturesque Henry Street. Well, this almost makes me glad that the Holiday Cocktail Lounge went out of business. Almost. 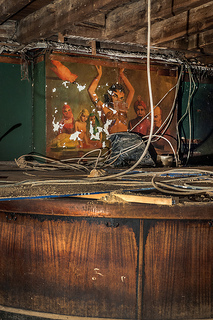 Barbara Sibley, the new owner of the storied old East Village dive (she owns La Palapa next door), was revamping the interior when she discovered an old mural beneath the mirror behind the horseshoe-shaped bar. The colorful, rather louche painting depicts a belly dancer being observed by two turbaned sultans and three harem girls. Sibley suspects—correctly, I'm thinking—that the mural belongs to the Ali Baba Lounge, which occupied the space from the 1930s to the 1950s, at which time the Holiday took up residency. Sibley seems to respect the joint's long history. 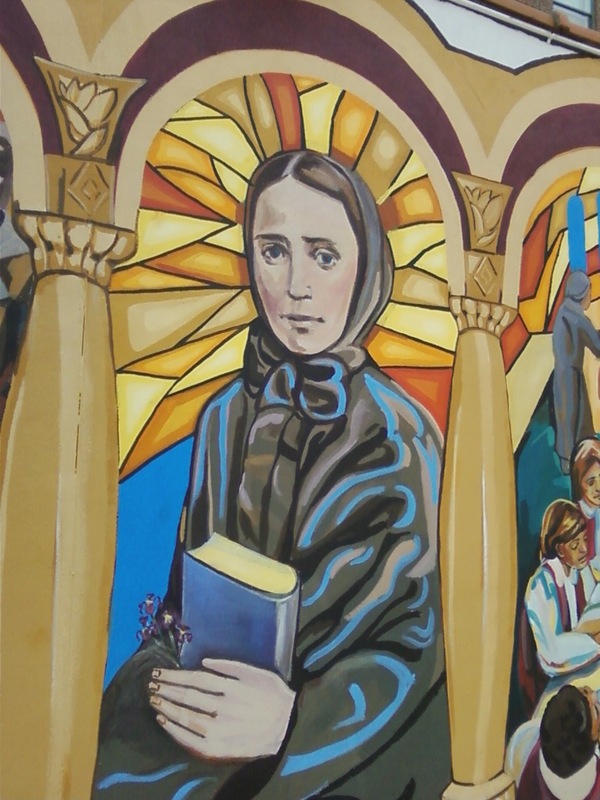 The mural will be kept and restored. She will retain and refresh the old bar and keep the awning. She's going to rip up the plywood floor to get down to the original wood. She also found flocked wallpaper behind the current walls in the back. While strolling through Windsor Terrace, Brooklyn, I noticed that the lovely old diner, Terrace Bagel Cafe, is preparing to pack up and move away. But it won't go far. 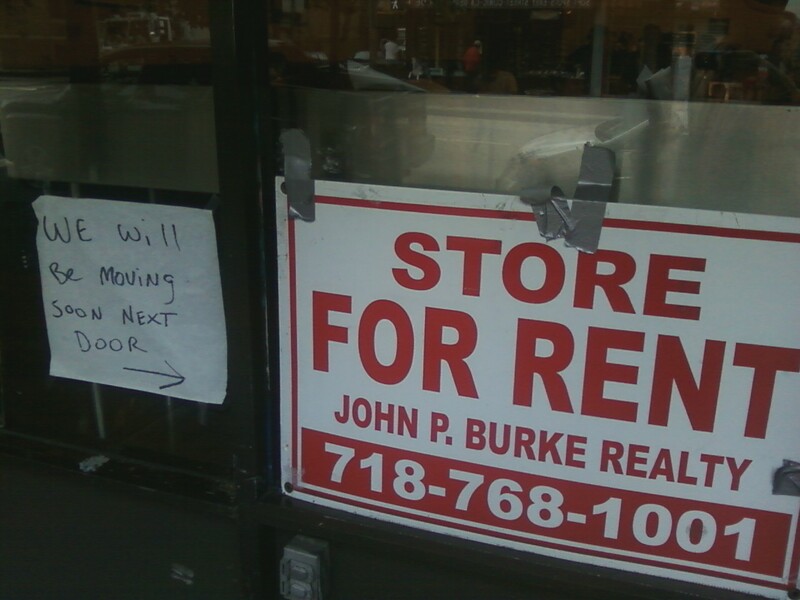 A sign in the diner window said it will set up shop just "next door." That seemed to indicate to space where Terrace Bagels, run by the same owner, is now. Since there's a for-rent sign in the window, I assumed the owners of the cafe obviously don't own the building. So I'm guessing the issue here is a rent hike, and the diner owners can now only afford one of the two spaces. But my guess was wrong. Windsor Terrace Patch reports, "The reason for the miniature move? A manager at Windsor Cafe told Patch that while the bagel shop's owners are renting their current space at 224 Prospect Park West, they actually own the building formerly inhabited by the dry cleaners. 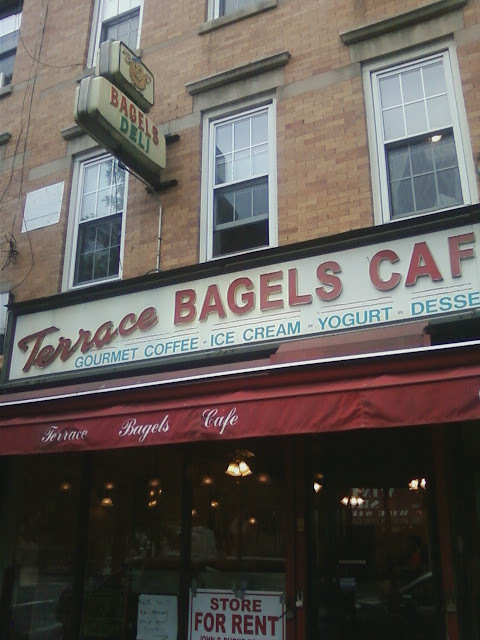 Now that Swan is gone, Terrace Bagels Cafe can take over the building." So they're not moving next door. Just next next door. The bagels here are prized. They are hand-rolled, and boiled-then-baked in the old fashioned manner. Some people think these are the best bagels in town. The prices are very good, and they serve breakfast all day. Timboo's, one of the last great dive bars of Park Slope, was recently supplanted by a new joint called Skylark, run by the same people who operate Abilene, a bar in Carroll Gardens. I was sad to see Timboo's go. I checked out Skylark the other day to see how much of the old place they had left intact. A question I ask myself fairly often—at least every three months, and certainly whenever I walk down Fifth Avenue in Park Slope—is "Is Garry Jewelers open?" Open for business, I mean. Not just open right now. Every time I've walked by—or ridden the bus by—this old jewelry store (founded in 1951, sez the sign), the roller shutter has been down. I've never seen anyone inside. Not an employee, not a customer. When I've asked around, people tell me that the store is still a going concern. Michael Garafola, the owner, just opens when he feels like it. His neighbors accept packages for him. But still others told me they had been trying to reclaim repaired jewelry from the store for months, even years. Lately, though, it's seem more closed than usual. There's too much dust in the window displays. I can't imagine Garry's is going to roll up that shutter any more. 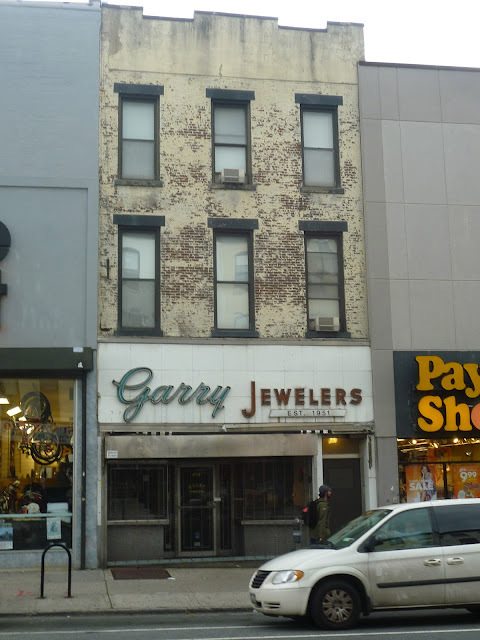 Garry Jewelers was run by Ralph S. Garafola until his death in 1999, after which his son Michael took over. I'm assuming Garry was an Americanization of the name Garafola. Apparently Michael had heart surgery at the end of 2008, and he opened the store less often after that. I don't know much at Alleon Pharmacy. But the Bay Ridge drug store has gone out of business. And it has this love piece of signage of the side of its storefront. They apparently were in business for 60 years. And may still have a working branch on Ft. Hamilton Parkway. This defunct location is on Fifth Avenue and 72nd. 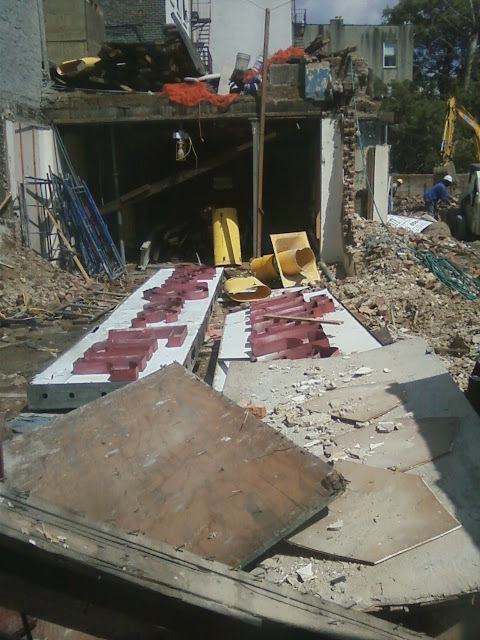 The old Sokol Bros. Furniture building on Columbia Street in Brooklyn is all but demolished. Just a few bits of brick and the frames of a couple roller shutters left. I peered in and what did I see laying atop the rubble but the old Sokol Bros. sign, which hung outside the furniture stores for half a century. I asked a worked what was going to be done with the sign. Would it be saved or tossed? He had no idea. By some miracle, the age-old Crawford Fine Gold Jewelry has quietly held down the busy corner of Canal and Forsyth for years, surviving the neighborhood's transformations from immigrant mecca to neglected slum to hipster haven. I've passed by the store many a time while on my way to the East Broadway F line stop after a night of Chinatown dining, always admiring the old neon clock that sits in the window. 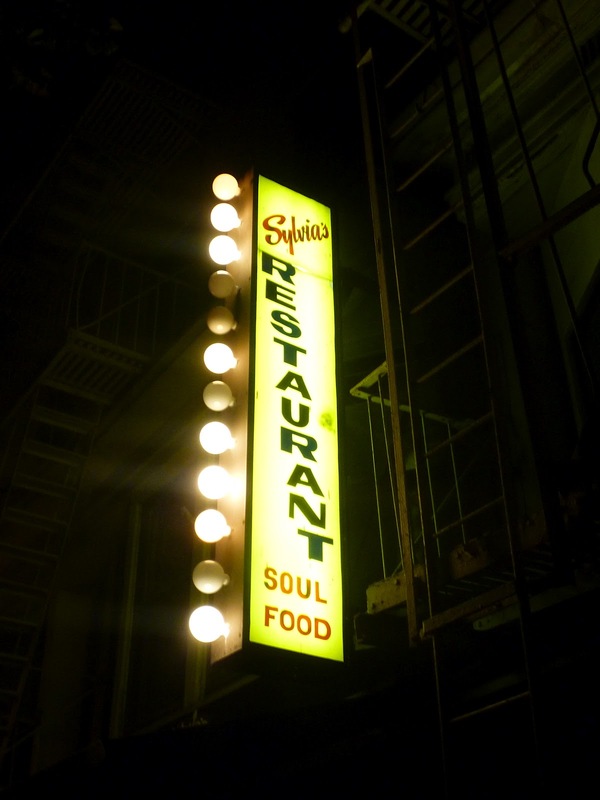 I never saw it operating during the daylight hours, and always wondered who patronized the sad little relic. Yesterday, I passed by the address and saw that the shop had finally thrown in the towel. "Everything Must Go" read a sign in the door. The store is closing. 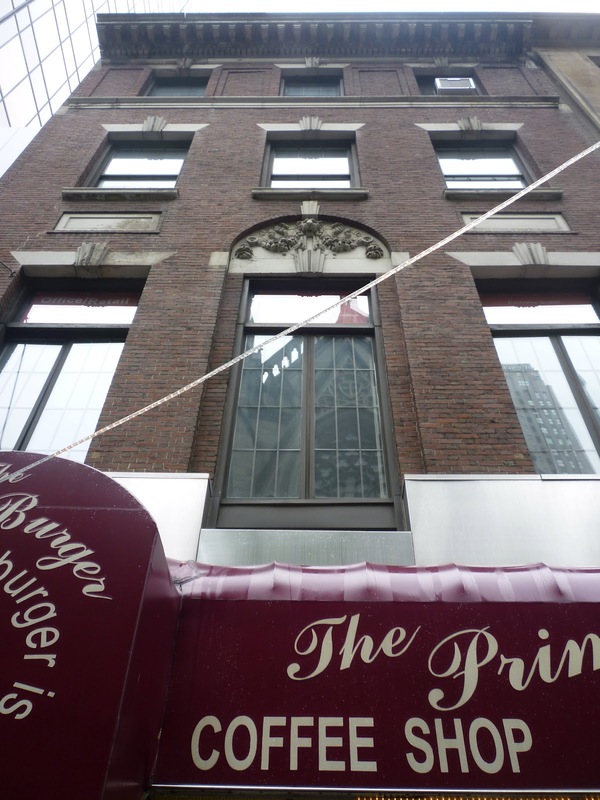 When Prime Burger, the deluxe hyper-historical midtown diner, shut down for good a couple weeks ago, there was a lot of talk about the location's 74 years of burger-making, first as a Hamburger Heaven, then as Prime Burger. But as I looked up at the old, four-story townhouse that Prime Burger's blood-sucking landlord owned (and Prime Burger used to own), I couldn't help but wonder that the structure's pre-griddle history was. Last week I posted an open query about the decrepit, sealed-up state of the mausoleum of poor old Eugene Fairchild in historic Green-Wood Cemetery in Brooklyn. There are a couple of reasons mausoleums get sealed up, like the Fairchild’s. First, if it has been filled to capacity, the family may opt to have Green-Wood to seal the mausoleum. Or, when Green-Wood is unable to find surviving heirs to make the necessary repairs to a mausoleum, the entrance is sealed with masonry or wood. And last, others may have had stone doors which broke away from their hinges under their massive weight or metal doors that just rusted away. In keeping with our rustic, rural cemetery layout, we actually do let some areas of the cemetery “go native.” Our superintendent of grounds knows the whole place like the back of his hand and has his crew on the grounds every day. So no area is just untended. Art is a big fan of naturalistic settings and some areas of Green-Wood are purposely allowed to grow over. All that being said, we do have a preservation department that works to recreate iron gates and doors and to replace the wood closures. We’re also working to restore entire mausoleums like the marble one heading into Clinton Dell. All in time, as we have labor and resources to work through the list. With 478 acres, it’s a tall (if not never-ending) order.